Better call Scooby and the gang. 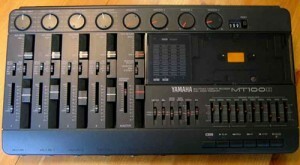 So, on a whim I bought a cool old Yamaha 4-track cassette machine via Seattle Goodwill’s Ebay page. Thought it would be fun to record something on some really simple hardware, plus I’m just a gear hoarder plain and simple. I purchased a Yamaha MT100 II picked it up from the Seattle Goodwill, and took it home. In order to test it, I grabbed a handful of cassettes from the bottom of a box of junk that I have probably moved 5 times. A completely unlabeled cassette was among them, so I popped it into the Yamaha and hit play, expecting to hear something other than what I wound up hearing. What I expected to hear takes a little explaining. Cassettes, generally speaking, have 4 tracks. Channels 1 and 2 are for the Left and Right signals on the tape’s A-side, and Channels 3 and 4 are for the Left and Right channels on the tape’s B-side. So, when one puts a regular ol’ cassette tape into a machine designed to work with 4-tracks of information on a single side, what happens? 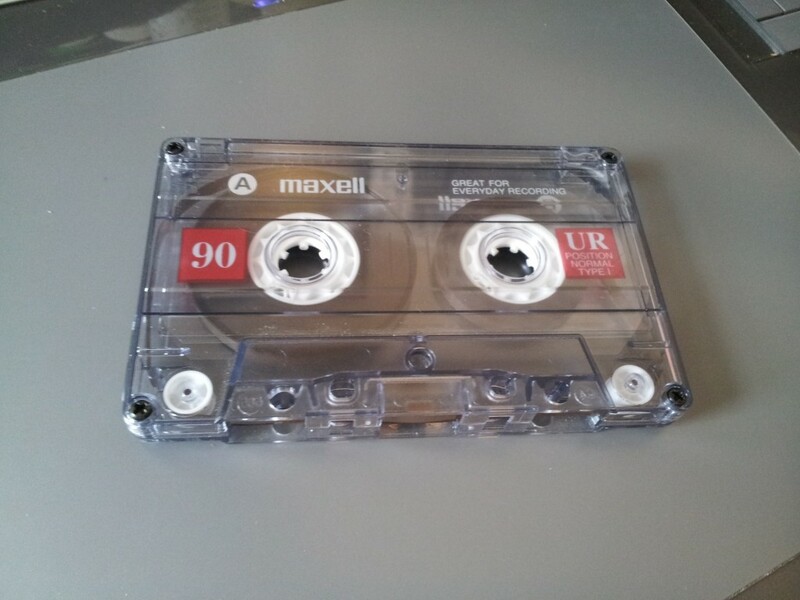 You get 1 side of the tape playing forward, and the other side of the tape playing backwards, all at once. This usually just sounds like a mess that is maybe interesting for about two minutes. I have absolutely NO idea who this person is, or when they recorded this, or how the tape even came into my possession. Total mystery. If you have a bunch of tapes laying around, than you probably get the idea that the odds of reaching into a pile of unmarked, used junky tapes and pulling up a 4-track cassette recording—in order to test out a new 4-track cassette recorder—seems a little slim. Chances are this could be somebody I know, but I can’t place the voice. This entry was posted in Found Audio, Gear Scores, Oddities on November 3, 2012 by Bellsauce. Hi Ryan! 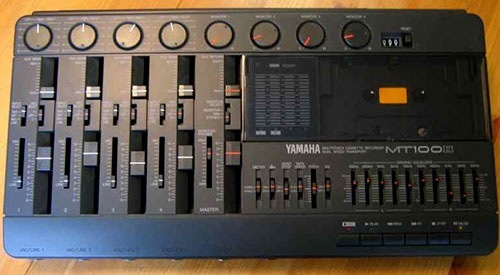 I´m a total fan of 4-track cassette based recorders. A year ago or so i found your site while searching for underground recordings made on portastudios. I listened to this song you´ve discovered and thought it was great. I even learned to play it. The fact that it was a mystery (and the obscure lyrics) made it all very interesting. You´ll find your song there (playlist track #2). Though this is a much more polished version, recorded with a whole band, and with slightly different lyrics, i have no doubt that the voice of the singer is the same. So i think the tape you´ve found belonged to him. Probably it´s the song´s very first demo. Why don´t you email the guy and tell him your story? I´m sure he´ll be glad. Thank you so much Ale! I will contact him for sure! Things like this are what I love about the Internet most. I am sorry for the late response. Your comment notification wound up in my spam folder, but I found it! Unfortunately, Jason’s website seems down just now—but I will find another way to find him. Thank you very much for contacting me about this.